Today I was so inspired by Daymond John’s words. Great podcast by my favorite online guru: Mike Dillard. I can’t wait to buy Daymond’s book: POWER OF BROKE. This Power of Mind blog post inspired me today via email. Thank you. Success is never easy, and failure is part of success. The sad part is that most of us are deterred by the mere thought of failure, and this paralyzes us from taking the right course of action. Feel inspired by the Benjamin Franklin poster? Click the poster to buy it from Amazon. Here are some more inspirational words from famous people. Click on the images to buy them now! As a Healthcare IT professional, I would love to help get patient information in the hands of the actual patient. This post is a follow up to that post. We definitely are on our way to making a difference in the patient/provider world. Although, I can’t discuss exactly what our product will do. Act Rich to be Rich! Here’s some really great information on how some leaders spend their time. Is meditation really a ritual that can bring wealth and success? I can definitely believe it can bring peace and happiness – but riches? Really? I actually meditate but I have my own system. I combine Pscyo Cybernetics with gratitude and try real hard to fall into the “gap” and “get in tune” (as Deepak Chopra calls it). I use MindValley’s OhmHarmonics demo – that’s it – lol. Ever since I started meditating, my salary has jumped 33% and now live in my dream home. Hmm…could it be true or just a coincidence? Let’s take a look at famous, wealthy people who meditate. everyday if possible…let the noise settle. I have now been doing (TM) 41 years. There’s an ocean of pure, vibrant consciousness inside each one of us and it’s right at the source and base of mind. This pure consciousness is called – by modern physics – the unified field. It’s at the base of all mind and all matter. And they all say all of matter – everything that is a thing – emerges from this field. It’s like an ocean of solutions. 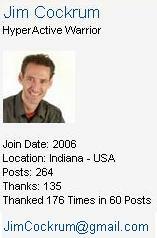 I found Jim Cochrum thanks to Jay Boyer’s email this week. 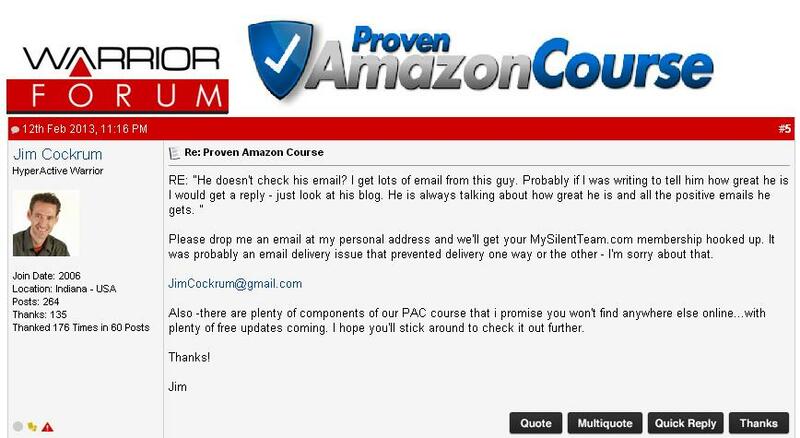 He sent me an affiliate link to check out Jim’s Proven Amazon Course system. I immediately jumped at the sales page, since I have been wanting to create an Amazon FBA business for a while now. However, I wanted to buy Amazing Selling Machine and the price for that was $3,500 last year. Presently, that is a bit too steep for me. I immediately googled Jim and found his responses to the Warrior Forum members. Then I read on the Warrior Forum that Jim had an ebook. I immediately went to Amazon and found his book. While reading his book, I was pleasantly surprised that he also homeschools his kids. Jim is living the life that I want – the internet dot com lifestyle. I, too, want to have a home office so that I can take time off when I want and accompany my kids on their homeschool events. Thank you, Jim! You are an inspiration 🙂 I have no doubt in my mind I can follow in your footsteps. Thank you for the book and the system you created. The cost is $267. You can do 3 payments of $89 to ease the cost a bit, which is what I will likely do. Click on the link above and read his book today. It’s free with Amazon Kindle Unlimited! Copyright © 2015 ViSO Tech, All rights reserved. Today, I saw an email from Joe Vitale in my inbox. Knowing how much value he provides, I opened it and clicked the link. I was just finished with my daily meditation exercise, so I was happy to find the Gravity Manifestation program. I was instantly fascinated, since I have been trying so hard to find time to learn more about Albert Einstein and Law of Attraction. This system came at the right time for me! No, I did not buy it but the information in this video was very inspiring to me. It’s almost identical to the way I manifested all the items on my dreamboard of 2013. I have been wanting to put together what I want to call my “Free Path to Wealth” kit. What I want to do is document exactly what I did, what I listened to in my daily life to reach my dreams. Although I haven’t purchased this sytem yet, I do highly recommend it. I can tell you from experience, it works! It’s pretty much what I did last year. What I really like about their approach is including science and tying Law of Attraction to Albert Einstein. It all makes much sense. iPC Realty Group, LLC – We are officially an LLC! iPC Realty Group was born on September 11, 2014! Here is the RI link to our business: iPC Realty Group, LLC. We are ready to start our wealth journey real estate investing while helping people and communities. The “C” is for Communities (super important). Virtual Wholesaling Blueprint – Check it out! Thanks, to Cris Chico for making me aware of virtual wholesaling. I find this a fascinating topic, so i watched ALL his videos. You should, too. – why tired landlords? – easy to find, start small and ramp up as you do more deals, very little competition, poor marketing to these leads can be bad! – single family, duplex, triplex, fourplex // own property for at least 10 years , landlord must own property in THEIR NAME , focus on zip codes that have most investor buyer activity. – Good old fahsioned mail is the KEY! – mail is easy to get started, less competition with direct mail, no need to print anythinf or deal with grunt work, WILL NOT find tired landlords any other way. – why do investors FAIL at direct mail? – very redundant and unoriginal. – use online tools to find sellers, automated marketing, seller screening systems, buyer screening system, lead evaluation system , closing and collecting money system. > Use 24-hour recorded message system – seller calls special number on postcards and listens to my recorded message // only the motivated sellers leave a message // eliminates the explainations , frees your TIME and LITTLE TO NO SELLING INVOLVED. – make an offer right over phone! Rich People Who Don’t Believe in God! WARNING! DO NOT READ if you are offended by other people’s perspectives. This is a very cool article of famous rich people who are either Athiest, Agnostic, or both. There is a difference between the two perspectives. An Athiest absolutely believes there is NO GOD! Just like Christians believe there IS A GOD! An Agnostic is Bill Gates perspective – they just are not sure. The most shocking person I found on this list is both Bill Gates and Mark Zuckerberg! 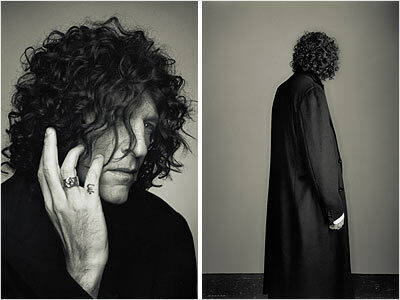 The one I did know about was Howard Stern. He has been very vocal about his perspective. Who surprised you? Leave a comment below. Here’s that link again: Rich People Who Don’t Believe in God!